As we mentioned yesterday, the Surly invasion of Iowa begins Tuesday, March 3 in Des Moines with a very special concert by our friends Doomtree at Wooly’s. And, we are loading up a fancy bus in Minneapolis and are making the trip down for the show and we want you on it. Wanna get on so we can get up? 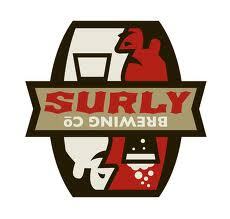 If you think you should be on the bus, hanging out with Doomtree and the Surly crew, convince us. Tell us your sob/stalker/fan story and why you should be on the bus in the comments below. By 2/12, we’ll pick and announce some winners. We will depart from Minneapolis around 1pm on Tuesday, March 3 and we’d hit up a couple of spots for some beers en-route to the show. Then when Doomtree leaves the stage that night, we get back on the bus to head to Minneapolis. We will arrive back at the brewery at 3am or so. It’s rock and roll errr… hip hop! And, it’s not a road trip for the delicate. Tell us your story in the comment section below.